Music lovers from across the country will be descending on Bromsgrove at the weekend for the town's Beethovenfest with the Dante Quartet. For more decades than they would care to admit, Jennie McGregor-Smith and Jim Page have been guiding lights in the perhaps surprisingly busy musical life of Bromsgrove, market town in the north of Worcestershire. Together they presided over Bromsgrove Concert Club (later Bromsgrove Concerts) for many years, hosting its events through a variety of venues, they launched the innovative Mixing Music contemporary series, Jennie founded the wonderful summery Celebrating English Song series in Tardebigge’s atmospheric Parish Church, and they organised autumn weekends devoted to the complete string quartets of Beethoven, Bartok and Shostakovich, among others. This weekend they are returning to all 17 of Beethoven’s string quartets for what might be their swansong as promoters. It’s not merely a question of booking the performers (in this case the enthusiastic Dante Quartet), but also arranging catering for those subscribers going for the long haul, and advising about transport and accommodation. And listeners will be arriving from all over the country, as Jim tells me. Jennie describes her personal motivation in organising such a weekend. Jennie goes on to tell me how she and Jim came to choose the Dante Quartet as performers, and how the programming order of these 17 works was decided upon. 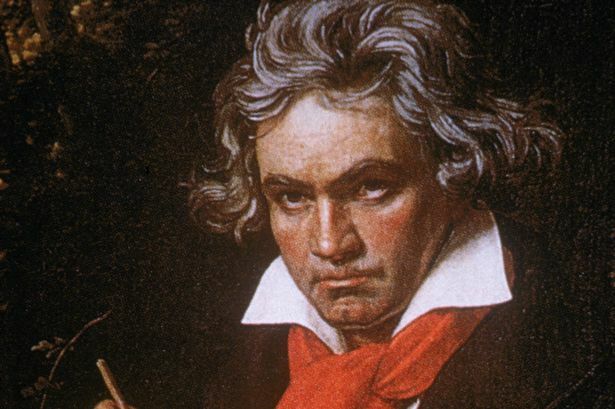 “The Dante came to Bromsgrove Concerts a year or so ago and played Beethoven so movingly that when we had the idea of having yet another Beethoven weekend they were the first that came to mind. They seized upon the idea. Also, it is good to know that Richard Jenkinson is the cellist, as he was for many years in the CBSO, and is conductor of the local Orchestra of St John. “The germ of the idea came after the Dante Quartet had played Opus 127 for Bromsgrove Concerts about two years ago and it was such a marvellous performance that without really thinking about it I asked Krysia Osostowicz (their first violin) in the Green Room how many of Beethoven’s quartets did they have in their repertoire? Discussions afterwards developed and Jennie and I decided that as a final fling we’d give it a go! What do you think we’ll learn from the weekend, I ask Jennie? “A tremendous lot! Even those people who know the repertoire well will add to their knowledge, through comparing Beethoven’s compositions written at different times, through hearing the speakers discussing Beethoven’s life, through meeting other enthusiasts at the lunch table. * The Dante Quartet’s Beethovenfest at Bromsgrove’s Artrix begins on Friday October 28 (5pm), ending on Sunday October 30 (2.30pm). Guest speakers are Jessica Duchen, Stephen Johnson, Roderick Swanston, Robin Ireland leading a masterclass, and Steven Cowperthwaite reading Beethoven’s Heilgenstadt Testament. Details on 01527 577330.